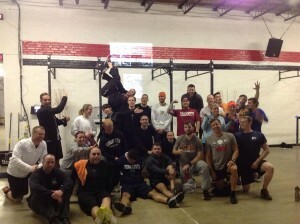 Twenty Nine people showed up for Murph at 4am on Sunday! Great job, guys and gals! Remember, Brandon is leading 30 minutes of mobility every Thursday at 5:30pm and Olympic Lifting Every Saturday at 9 am. We are excited to announce that we are adding a 1 hour Olympic Lifting class with John Every Tuesday at 5pm! All Levels. Register Online. Olympic lifting will have a 10 person cap and mobility is unlimited.